When would you like to stay at Rhiss Hotel Bostanci - Check Availability & Room Rates!!! 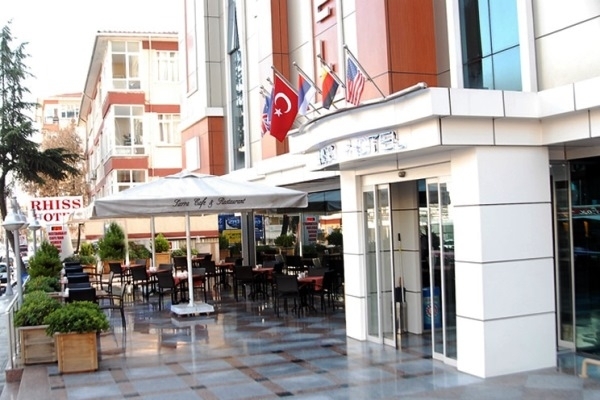 RHISS HOTEL BOSTANCI Iocated in Anatolian part in Bostanci which is known as the center of business. Rhiss Hotel Bostanci has has a junior suite,1 Family Room, 12 Superior, 37 Standard, in total 51 Rooms. Rhiss Hotel Bostanci rooms has sound-proofed, telephone, minibar, Lcd TV, Free Wi-Fi access, electronic safety deposit box, hair dryer, central heating, cooling system, massagebaths, 24-hour room service, dry cleaning. How far and How long will it take from/to the Rhiss Hotel Bostancı Istanbul from/to International Airports and cruise Ports. How to meet at Ataturk airport Sabiha Gokcen Airport-Lost and Found How to get from Ataturk airport to the city? How to get from cruise ports to the city? Ataturk Airport-Lost and Found What time should I leave my hotel to catch a flight in Sabiha airport? Istanbul Airport Shuttle Istanbul Airport Transfer How to meet at Sabiha Airport Is there any additional charge for my airport transfer service?